APIs have become the de facto standard for building and connecting modern applications, so any degradation in API performance can have an adverse impact on customer experience, brand value and revenue. 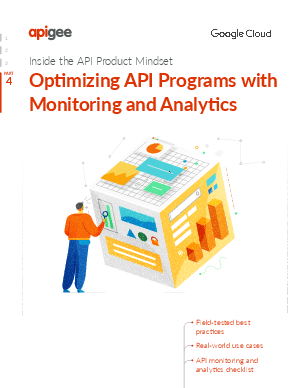 Google Cloud’s new eBook, Optimizing API Programs with Monitoring and Analytics, takes a detailed look at the benefits of using API monitoring and analytics technology to optimize your API programs and digital strategies. Explore how to deliver a seamless and connected experience for customers, partners, and employees.